A belated happy birthday to Nicolas Frantz, who was born on November 4, 1899, and died on November 8, 1985. The rider from Luxembourg is best remembered for being a two-time, consecutive winner of the Tour de France, beating Belgians Maurice DeWaele and Julien Vervaecke in the 1927 French Grand Tour, and repeating his victory the following year ahead of Andre Leducq of France and DeWaele of Belgium once more. 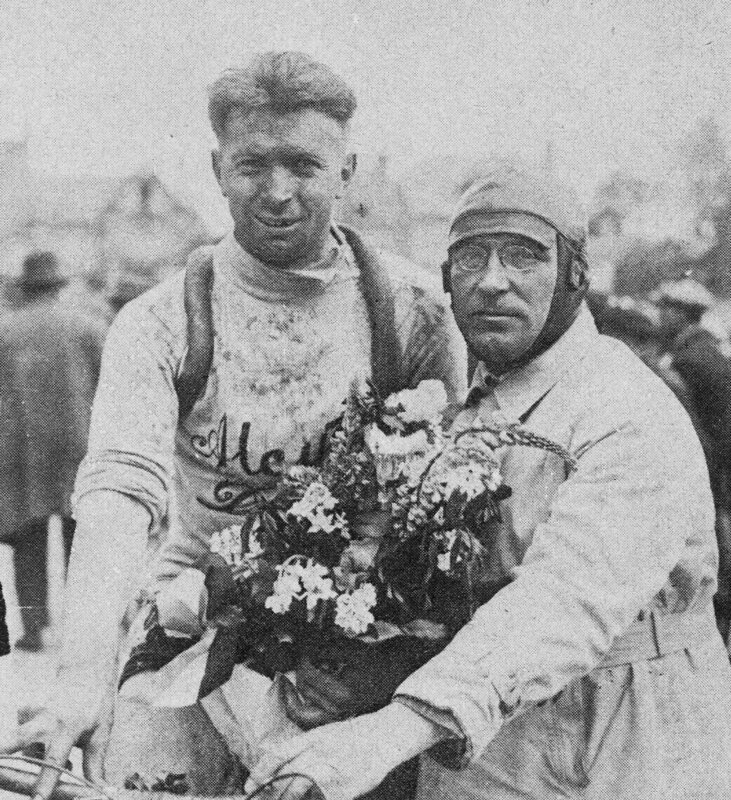 Frantz also added to his palmarès, victories in the 1927 Paris–Brussels and 1929 Paris–Tours races. He also won the championship of Luxembourg 12 consecutive years in a row from 1923-1934. Frantz was born in Mamer, Capellen to a prosperous farming family, where he was first introduced to cycling at the age of fifteen – winning his first race at a local event for junior riders. From there, the fledging pro proved to be an unbeatable young rider in his region, racking up an impressive slew of victories until the start of the first World War. 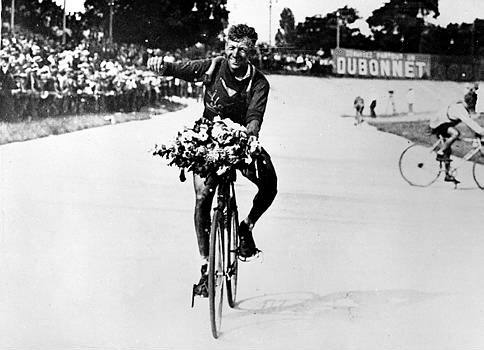 After the war, Frantz turned professional, which saw a continuation in his winning ways that included victories in prominent races such as Paris-Lyon and the GP Faber. Many credit his advantage in stage races to his sturdy build and dedication to training and eating well. 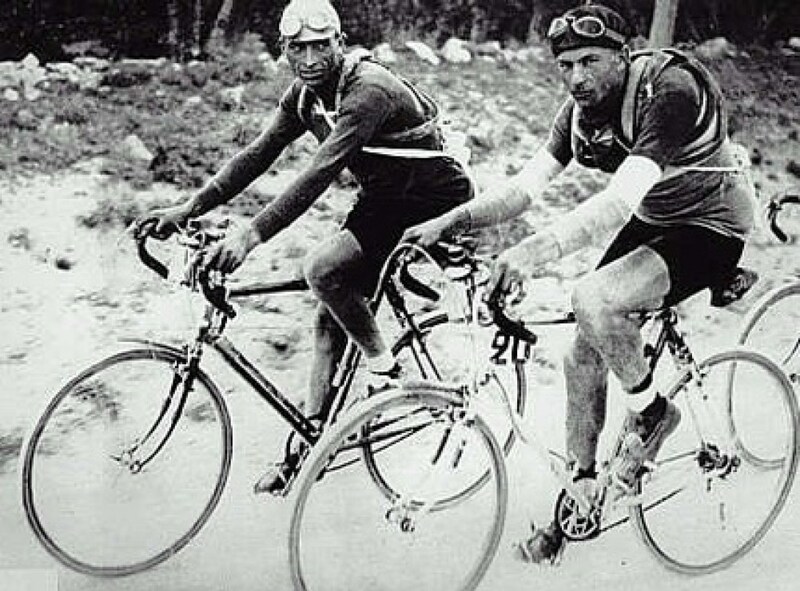 Frantz rode his first Tour de France in 1924, where he won two stages and finished second just 35 minutes and 36 seconds behind Ottavio Bottecchia. The following two seasons, Frantz won another four stages and finished fourth and second respectively. 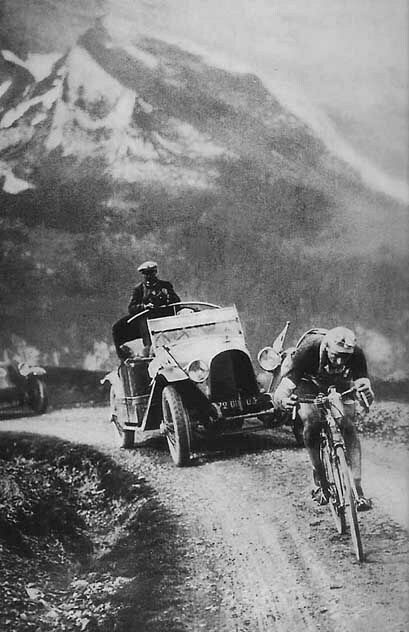 Frantz dominated the 1927 Tour, winning three stages and the overall title. But, leading up to his triumph, he trailed race-leader Hector Martin by seventeen minutes before taking over the lead after the stage to Luchon. 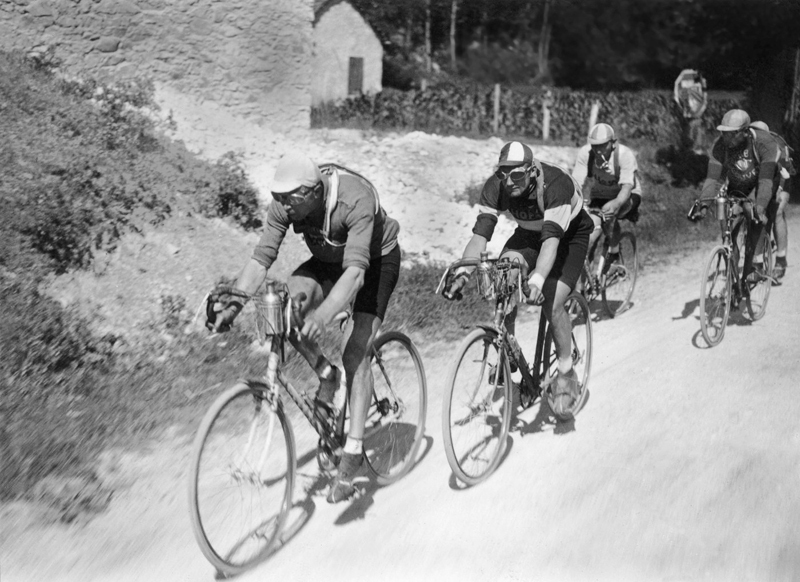 He remained in the maillot jaune (yellow jersey) from there, claiming the stage from Toulon to Nice, and a final win at Metz – finishing an hour and forty eight minutes ahead of De Waele. 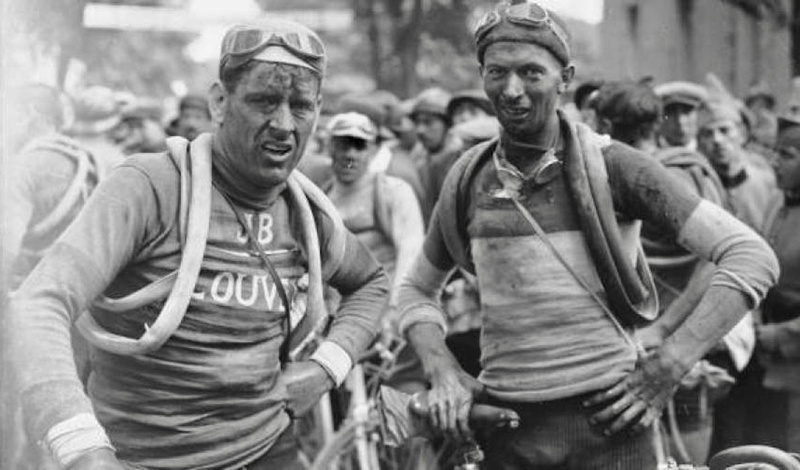 Frantz proved even more formidable during the following year’s Tour, where he wore the maillot jaune from start to finish, a feat only equalled by Ottavio Bottecchia. However, despite stamping his authority on that year’s race, his victory was not without calamity. Indeed, Frantz’s frame broke while passing over a railroad crossing during stage 19 with 100 kilometers still remaining, forcing him to borrow an undersized, women’s bicycle, while his Alycon teammates rode in earnest in an effort to pace him back into the race. Fortunately, Frantz was later able to exchange the bike for a team issued one, which he rode to victory in Paris ahead of his teammates Leducq and De Waele. A peculiar situation arose during the 1929 Tour. After winning stage 7 in Bordeaux, Frantz became one of three riders alongside Leducq and Victor Fontan to hold the same time in the general classification, thus creating three virtual race leaders. 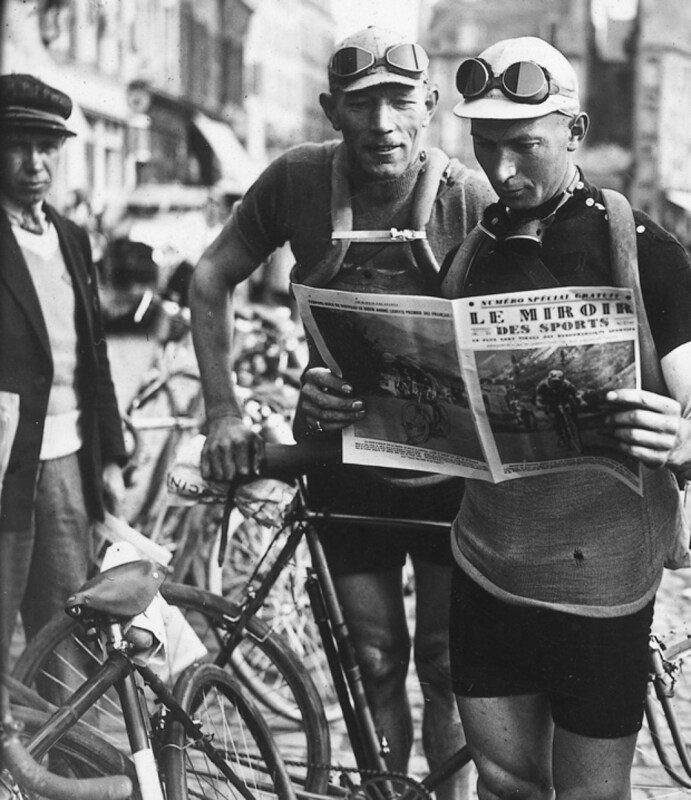 However, Gaston Rebry eventually ended the chaos, after taking over the race lead following stage 10. Up until then, Frantz looked poised to distance his rivals, but a puncture during one of the previous stages cost him significant time. This deficit proved unassailable for him, which ultimately relegated him to a disappointing 5th place. 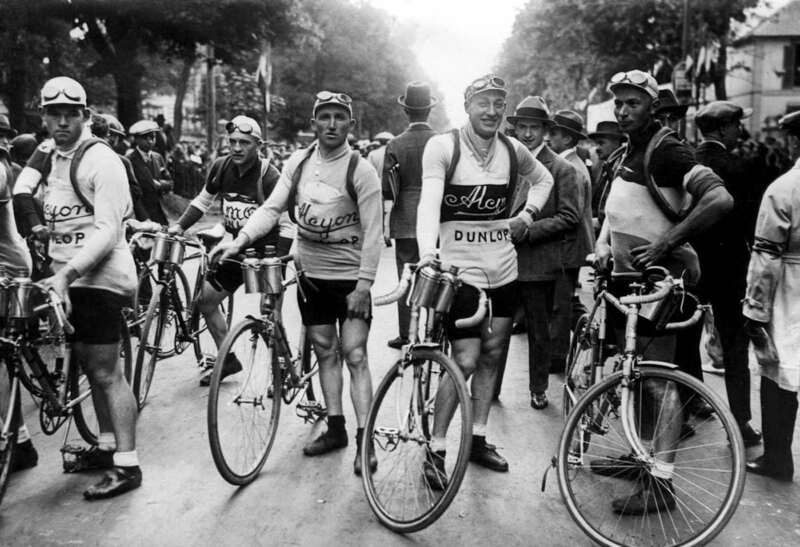 Frantz’s entered the Tour only once more in 1932, where he finished in a lowly 45th place. 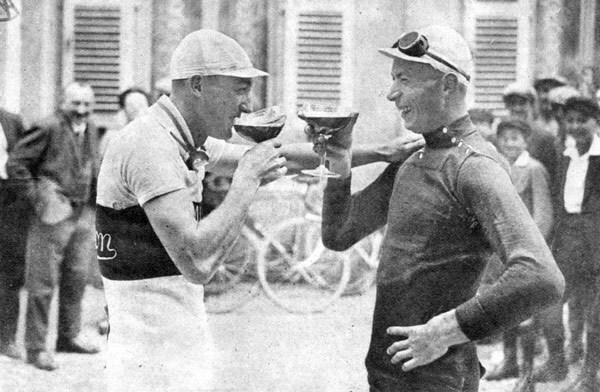 After his retirement from racing, Frantz became the directeur sportif of the Luxembourg and Luxembourg Mixed teams for the Tour de France from 1949 to 1957, which included coaching his country’s next rising star, Charly Gaul. 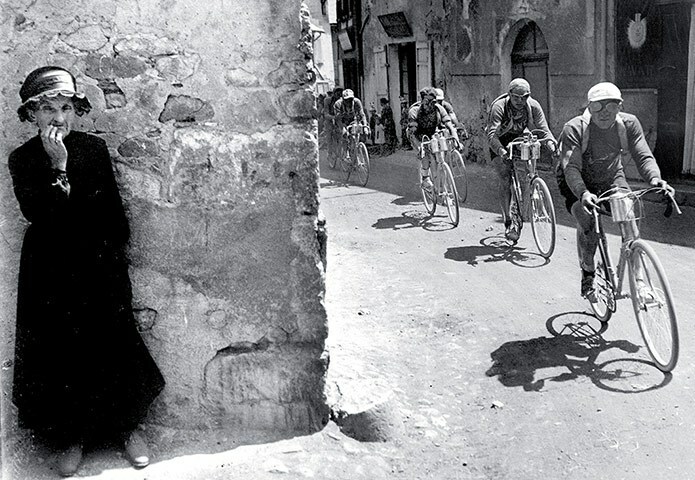 After his cycling days came to an end, the tacit Frantz retired to his native village of Mamer, where he lived a quiet life until his death. Vill Gléck fir däi Gebuertsdag Nicolas!